The present work, like much of W.F. 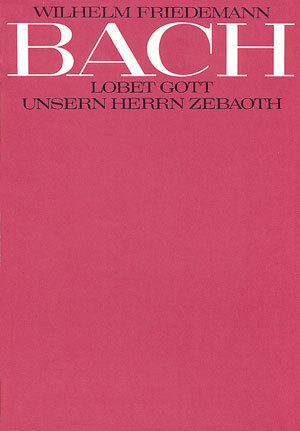 Bach's church music output, is not an original composition but an adaptation of an existing work. The original source for this work ist the chorus "Heilig, heilig ist Gott". It is not known for waht occasion the work was adapted to a new text.